The Swedish Vallhund is a great family dog that is lively, self-confident and loyal. If you think a courageous, enthusiastic friend who can also double as a great work dog is for you, start looking early. If you are in the U.S., this is a very rare breed and very hard to find. What makes these dogs so amazing? Well, for starters, they are friendly, eager to please, healthy and hardy. Coming from a line of Spitz or northern type dogs, they do great in cooler climates but may also be fine in hot weather with some precautions. Their lively personalities fit perfectly for active families. They are loving, calm and adaptable and particularly good with children. Besides children, they also do very well with other dogs and pets. Some are dominant with other dogs. Having a very high prey drive, the Swedish Vallhund won’t do well with tiny, pocket pets such as hamsters or gerbils. Their alert nature, coupled with their vocal tendencies and slight wariness of strangers make them an excellent watchdog. 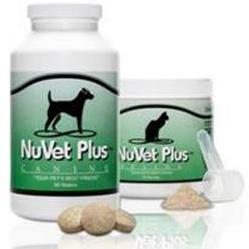 This is an active breed and as such does great for active families. They would not make the best choice for people who prefer a comfortable couch and a lapdog. While they will gladly keep you company, they prefer to go for a hike or jog or participate in an active canine sport such as agility, herding, fly-ball, or obedience. While some may accept apartment life which must include plenty of vigorous exercises, an ideal environment would be a suburban or rural location with a large fenced in yard. They have established a presence in America and other countries, but still rare outside their native country. As a herding dog that was developed to herd cattle or other farm animals, these little dogs continue to have a tendency to herd which means that you or your children could be herded if the dog does not believe you are in the correct place. One feature that sets this breed apart from the rest is their unique tail type. The breed carries a gene for a natural bobtail, but they also have long tails. Both types of tails will be seen in the same litter. Colors: Based on the AKC Standard: Gray and Red are standard colors, but they can also be Black, Blue, White, Yellow with Sable and White markings. It is very likely that these dogs can trace their beginnings in Sweden to the time of the Vikings. Little is known about their early history. 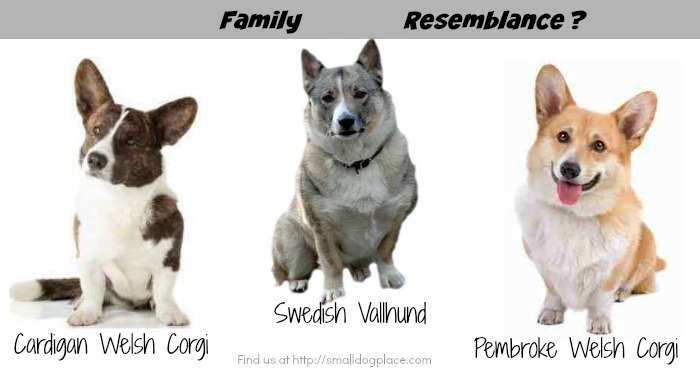 They do have a remarkable similarity in appearance with the Corgi breeds. It is not certain whether these dogs were brought to Wales or the Corgi breeds (Cardigan and Pembroke) were taken to Sweden during the eight or ninth centuries. 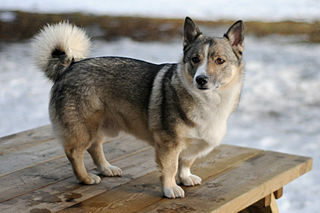 Clifford Hubbard, Historian, concluded that the Swedish Vallhund was older than the Corgi breed. Either way, this is an ancient breed but few written records have been kept. They were likely interbred with the Corgis during this time but little else is known of the breed until the 20th century. During the years of World War II, most breeds living in Europe were decimated by the destruction of war. Few breeders could continue and most people were more concerned with survival than that of dog ownership. Breeding and pet ownership had to be put on a back burner. This breed was no exception. There were few Swedish Vallhunds still alive by the end of the War. In 1942, there was a significant effort to recover the breed. Count Bjorn von Rosen of Sweden, became involved and is credited with saving the breed from near extinction. 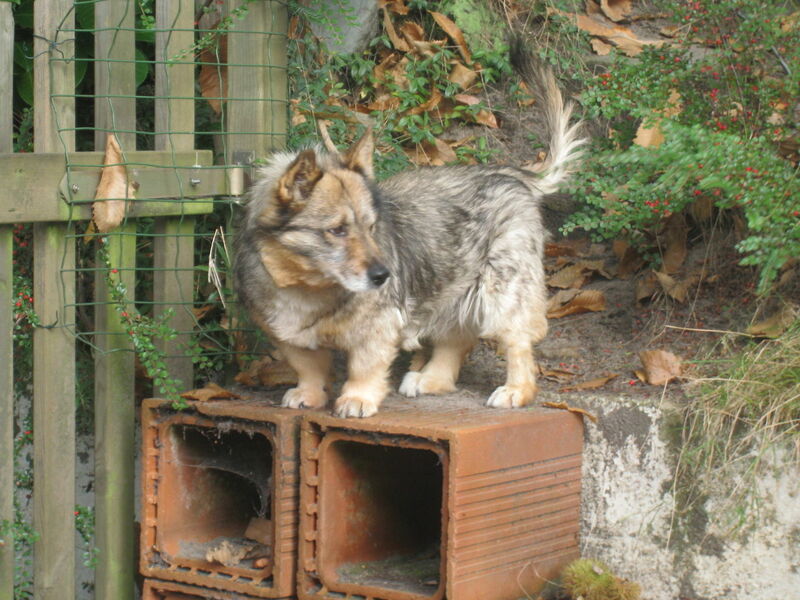 He had saved several other Swedish breeds, so he decided the Vallhund needed his help. He placed an ad in the local newspaper for help. K.G. Zetterstén, a school teacher, responded. With several students to help, their little group took off on bicycles to locate good dogs for their breeding program. They eventually found some and the breed was revived by using three females and one male dog. This breeding effort took place in Vastergotland, a town in Sweden. Later, the breed was named “Vastgotaspet” after the city and the breed still uses the name today. The first Swedish Vallhunds came to America in 1985 were not recognized until 1996 by the United Kennel Club. The American Kennel Club first recognized the breed in 2007 making it the 156th breed. By the end of 2015, they ranked 155 out of 184 in popularity with the AKC. 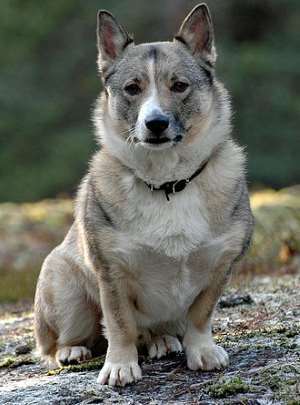 The Swedish Vallhund is now recognized and can be found in many countries. This breed was first developed, no doubt, to be an all-purpose farm dog that was capable of herding, ratting, and alerting the farmer to danger. Today, the Swedish Vallhund still retains many of the traits that made them excellent farm companions. With an independent streak, courage, high energy and an athletic build, these dogs do make great farm hands, but they are equally good just being a household companion. As a pet, however, they do prefer to have a job to do. Their even-temper affectionate nature makes them an ideal dog for a family with children. Being a herder at heart, though, they do tend to nip at ankles as they try to herd children who may not be in the place the dog feels they should. They are calm and attentive making them a breed that is easy to train. Their devotion and loyalty to their owner are unparalleled. But they are also an independent thinker. Positive approaches to training always work best. This is a vocal breed and may not make a good choice for apartment dwellers due to their need to be heard. Besides barking, they also howling and yips. They’re so chatty that their language of yips, howls, and barks have its own name: “argle bargle"
Without training to curb some of their excessive vocal tendencies, barking can become a problem. The ideal owner will be someone who wants a dog to be part of their life. Swedish Vallhunds do not do well if left alone for extended periods of time. They can suffer from separation anxiety. They also need a decent amount of physical and mental stimulation. Daily walks are important but so is a vigorous romp in the yard or quick game of fetch, to meet those daily energy needs. Training is usually accomplished best by a positive approach that makes use of a reward system. Early socialization is also recommended for all dogs and the Vallhund is no exception. 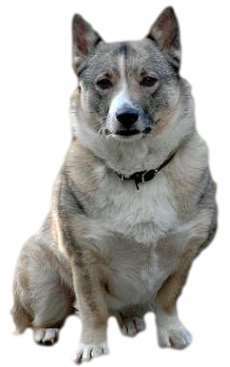 Vallhunds have a thick double coat that consists of a soft, dense undercoat and a harsh outer coat. Their hair is shorter on the head and foreparts of the legs. They are considered to be seasonal shedders which mean they shed twice a year on average. Seasonal shedders may continue to blow their coat a little throughout the year if they are indoor dogs. Extra brushing during times of shedding helps keep the hair under control. Other than that, a brushing about once a week, and an occasional bath will be fine for these dogs. Most of these dogs do not have any odor and constant bathing is not recommended. They do need nails clipped regularly and teeth brushed. They do not suffer from ear problems the way some breeds do but it is always a good idea to check them periodically. The breed is healthy and long lived. Like any other breed, some genetic conditions have been identified. The three major problems are seen in this breed include hip dysplasia, patellar luxation, and eye diseases. There is a different form of progressive retinal atrophy (PRA) that is being studied by Dr. András Komáromy, Professor Hannes Lohi, and Dr. Saija Ahonen. More information about these studies can be found on the Parent Club's Website. A developmental disease where there is an abnormal formation of the hip joint which can result in pain, lameness, arthritis or strain when walking. As time goes by, wear and tear cause the femur to rotate improperly within the pelvic socket. 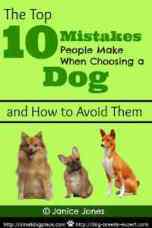 This problem is more common in larger breed dogs but also occur in small breed dogs as well. Breeding dogs can be checked for this condition through the use of a X-ray of the hips. An abnormally shallow groove in the patella (kneecap) so that the knee cap slips in and out of position. This can lead to lameness. This is a common condition seen in small dog breeds and veterinarians can palpate the knee joint to see if this condition is present. A family of diseases of the retina of the eye causing eventual blindness. It begins with night blindness and progresses as the retina slowly deteriorates. The eyes of breeding dogs can be checked and certified yearly by a veterinary ophthalmologist. This video goes to show you how amazingly smart these dogs really are. This puppy is only 8 weeks old.